This beautiful 3 bedroom house is located in Glasgow. 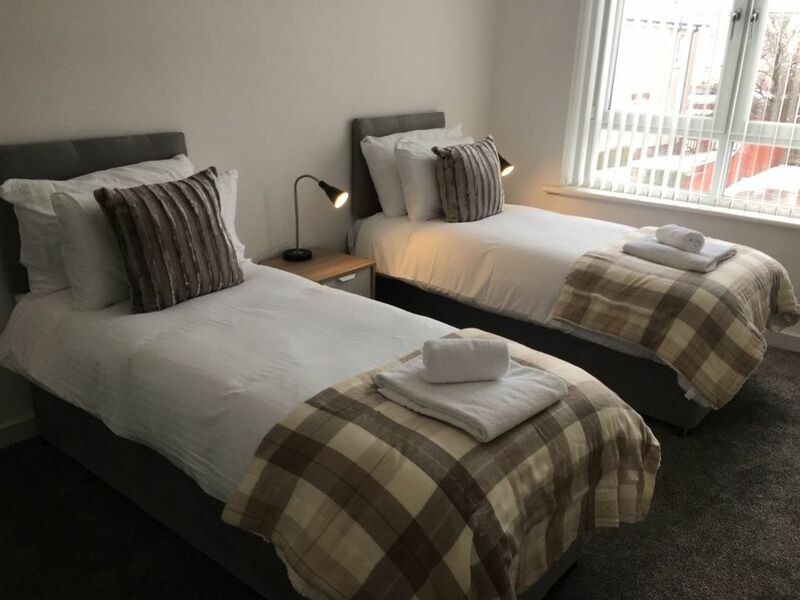 Each of the 3 bedrooms have twin beds, and are all decorated to a high standard. All linens and towels will be provided. There is a separate well-equipped kitchen available for guest use, as well as a reasonable sized bathroom that offers all of the essentials, including a bath with an overhanging shower. There is also a large cozy living room, everything you need to relax after a long day of work or play. Feel free to snuggle up on the couch and watch the flat screen TV, and use our complimentary WiFi to plan the next day's adventures! Guests will be able to enjoy a home away from home experience during their stay with us. This property has an excellent range of amenities nearby including a large supermarket, retail park, local shops and mainline Edinburgh to Glasgow railway stations at nearby Lenzie and Bishopbriggs. Access to Glasgow City Centre can be reached via the Stepps motorway link which also links up to the to the Central Belt motorway network system.